It's time for a new Wednesday Sketch Challenge. I have a bright floral card to share with you today, it features the gorgeous new Bold Blooms stamp set and the Single Stitch Line Rectangle Frames Die-namics from the new release. Great use of black on the frame and in the message- it really highlights the beautiful geometric flowers! 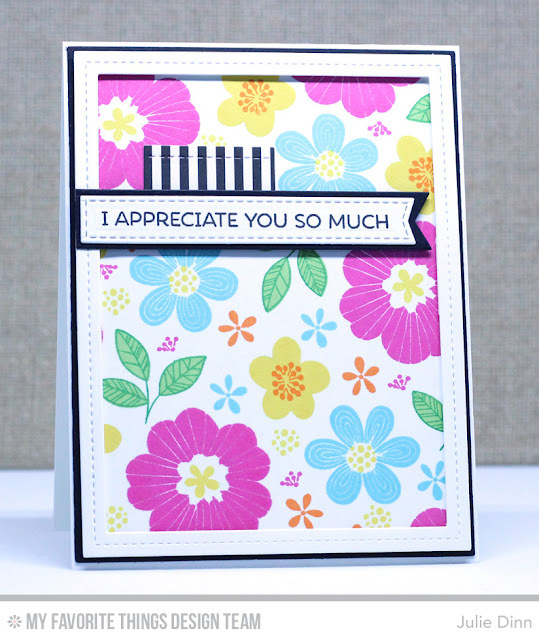 Love this new release and your card is SO pretty and colorful. LOVE THE sentiment and flowers. Thanks.